Very excited to share this post with you! I found these table leaves at the thrift store where I work. 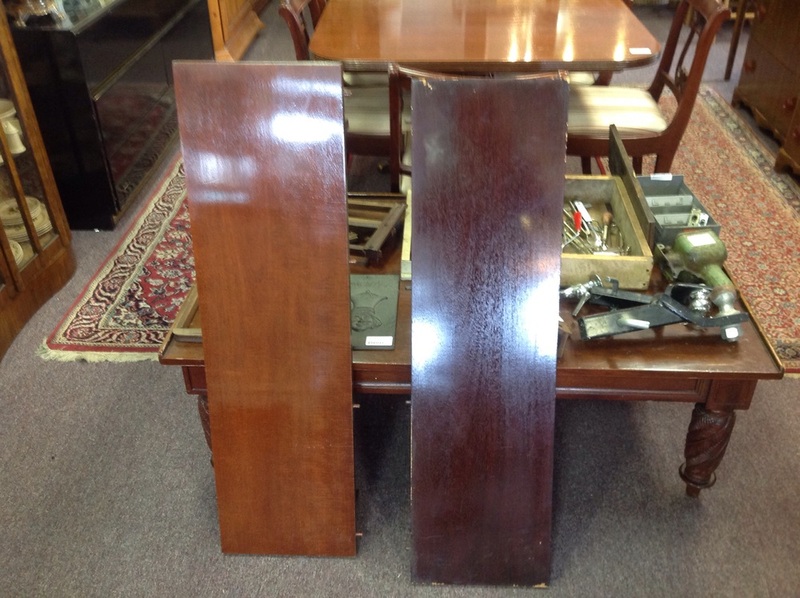 They were solid mahogany but separated from the table. This happens a lot in Thrift Stores. I bought all three for $5.00. I knew I could do something with them but was unable to find anything online to inspire me. Could I be setting my own trend? Love when that happens. I knew I wanted to make a wall hanging. Perhaps some kind of Triptych? Since they were mahogany, I had to seal them prior to painting. I went to my go-to sealer, Sherwin William White Pigmented Shellac. The consistency is very watery, deceivingly so. 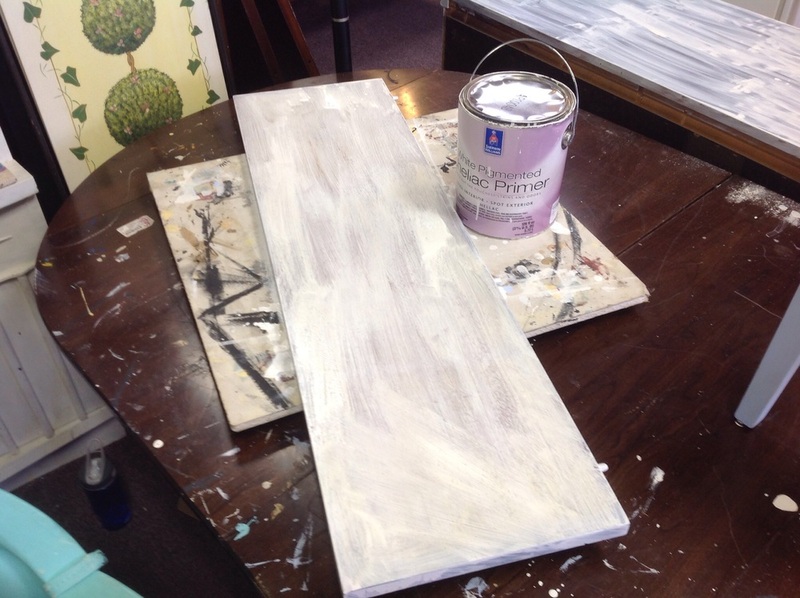 Brush it on with a paint brush or sponge brush with the board laying down horizontally. One coat will do it. It's okay if the wood is not completely opaque as seen below. Let it dry overnight and you're ready for paint. I did a light sanding prior to grabbing my new favorite combination of colors from Van Gogh Fossil Paint Collection, Patina & Mama's Boy. These two colors are always a hit. Love this paring. I did one coat of Patina, allowed it to dry overnight and then applied a random pattern of Mama's Boy in a dry brush technique. I allowed that to dry overnight and then added the mirrors. These are 8 x 8 square mirrors I found at Hobby Lobby. 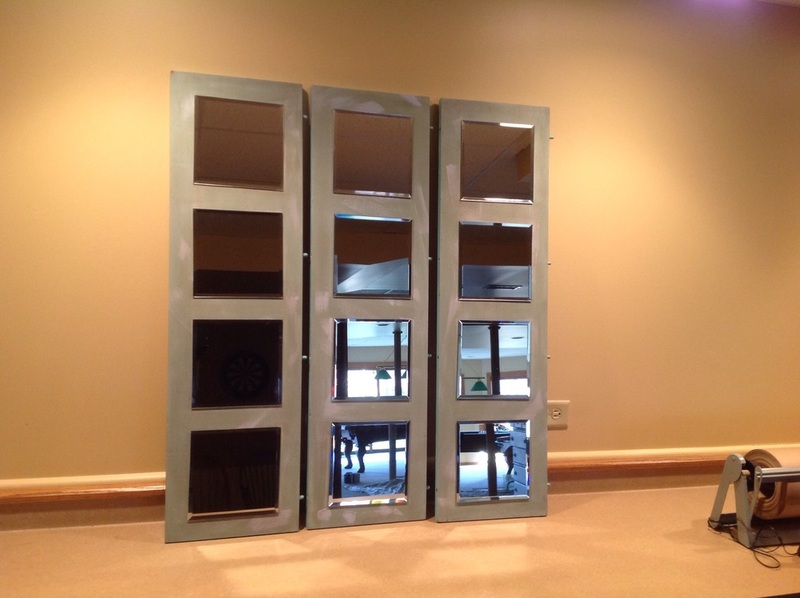 Using Liquid Nails in a caulk gun, I affixed the mirrors in place. I decided to wait to apply the wax until after the mirrors. I did not want to have any issues with the mirror staying put. Allowing them to remain horizontal while the Liquid Nails dries, helps with the adhesion. Here is the finished product. I. Love. These. As is the case with a lot of my projects, I want to keep them.